NOTE: THIS EVENT HAS ALREADY TAKEN PLACE. TO SEE VIDEO, PHOTOS, LIVE TWEETS, AND MORE, CLICK HERE. Alexander Hamilton (January 11, 1757 - July 12, 1804) was a Revolutionary War hero, aide-de-camp to George Washington, lawyer, signer of the Constitution, Father of the Federalist Papers, first Secretary of the Treasury, and Major General of the US Armed Forces. Join the Alexander Hamilton Awareness Society (the AHA Society) for the fourth annual CelebrateHAMILTON program to honor the incredible life and legacy of Alexander Hamilton. Four days of events will be held throughout Manhattan and Northern New Jersey from July 10th to July 13th. This year's program will include special events to celebrate the 225th anniversaries of the creation of the US Coast Guard as well as the first Presidential cabinet dinner. There will also be a special tour of George Washington's winter encampments in New Jersey and a celebration of the inaugural performance of the musical Hamilton on Broadway. Learn more about this year's program below. Want to learn more about CelebrateHAMILTON? See pictures, C-SPAN coverage, and more from our past programs. *A fee or requested donation may apply. SCROLL DOWN FOR ALL EVENT DETAILS. A brass quintet from the US Coast Guard Auxiliary Band will celebrate the Father of the US Coast Guard - Alexander Hamilton - with a short concert of patriotic songs. The concert will be held on the steps of Federal Hall, the site of the nation's first Constitutional capital. This concert is part of the year-long celebration of the 225th anniversary of the Coast Guard's creation. Following the performance, join the Coast Guard and the AHA Society in a short processional to Trinity Church for the Hamilton Graveside Remembrance event. Alexander Hamilton is annually remembered around the anniversary of his death with a gathering at his grave in the Trinity Churchyard. The program will include participation by the Coast Guard Auxiliary and US Coast Guard, which was founded by Alexander Hamilton, and a wreath-laying ceremony with the traditional memorial wreath from the Museum of American Finance. A special addition to the program will be the spreading of soil from Alexander Hamilton's mother's final resting place in St. Croix over Alexander Hamilton's grave. Talk: "Alexander Hamilton: The Formative Years"
Following last year's event at the Museum of American Finance in which Michael E. Newton presented "New Discoveries in the Life of Alexander Hamilton" comes the anticipated release of his book "Alexander Hamilton: The Formative Years." Join in a dialogue with author Michael E. Newton about Alexander Hamilton's youth and service during the Revolutionary War. After many years of research and writing, Michael E. Newton has achieved one of the most comprehensive looks ever at Alexander Hamilton's early life. Read the full book synopsis. Directly following Mr. Newton's talk will be a book signing of the "Alexander Hamilton: The Formative Years." Books will also be available to purchase. Learn more from the event "Book Signing and Exhibit" below. Note: In honor of Alexander Hamilton, the Museum of American Finance is waiving its admission fee on this day. Book Signing and Exhibit: "Alexander Hamilton: Indispensable Founder and Visionary"
Author Michael E. Newton will be signing copies of his book "Alexander Hamilton: The Formative Years" following his 2 pm talk on Alexander Hamilton's early life. Also available to visitors is the exhibit "Alexander Hamilton: Indispensable Founder and Visionary" featuring rare original documents in the Hamilton Room of the Museum of American Finance. This July 10th is the 225th anniversary of the first gathering of George Washington's cabinet. In 1790, Washington hosted a special dinner at the Morris-Jumel Mansion with his cabinet members and their families - Alexander Hamilton, Thomas Jefferson, and Henry Knox, plus Vice-President John Adams. To celebrate this special anniversary at the Morris-Jumel Mansion, there will be a commemorative cocktail party with signature drinks and 18th-century themed food. The event includes short presentations on early American cuisine and the July 10th dinner at the mansion. There will also be a special guided tour of the Morris-Jumel Mansion highlighting the room where the dinner took place. Speakers include: Nicole Scholet of the AHA Society and Kelsey Brow, Food Historian. Hosted by InShape Fitness, the 12th annual Hamilton Fun Run is open to all who would like to join for all or part of an 11-mile run in honor of Alexander Hamilton. The run route begins at Hamilton's grave at Trinity Church in lower Manhattan, continues past the World Trade Center and up the West Side Highway, and ends at Hamilton's "country estate," the Grange (St. Nicholas Ave and W. 141st St). Members of the AHA Society will be at the Grange to greet all the runners to Hamilton's home. Get all the details from the InShape website. AHA Society Vice-President Nicole Scholet presents about Alexander Hamilton's involvement in the creation of the predecessor to the Coast Guard, which celebrates its 225th anniversary this year. 1:00 PM: "Introducing New Alexander Hamilton Discoveries"
New discoveries that have been made by author Michael E. Newton about Alexander Hamilton's life will be presented. This year is the 211th anniversary of the duel that took place between Aaron Burr and Alexander Hamilton on the banks of Weehawken, New Jersey. The AHA Society will be holding a remembrance event at the Alexander Hamilton memorial overlooking the original dueling site. As part of the remembrance event, AHA Society Vice-President Nicole Scholet de Villavicencio will present about Alexander Hamilton's historic presence on US currency. 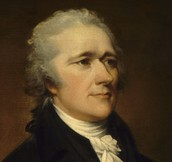 Hamilton descendant Douglas Hamilton will also speak on Alexander Hamilton on the $10 bill. Don't miss the subsequent event, "Not Throwing Away Any Shots: Understanding the Burr-Hamilton Duel" at 7:30 in Weehawken. See below for more information. Meeting place: Hamilton Park, overlooking the Hudson River. Following the gathering at the Hamilton memorial on the cliffs of Weehawken, there will be a special talk on the Hamilton-Burr duel by Dr. Joanne Freeman, noted Hamilton scholar and history professor from Yale University. In addition to decades of study on Alexander Hamilton, Dr. Freeman is a leading expert on duels and dueling culture. With a talk entitled “Not Throwing Away Any Shots: Understanding the Burr-Hamilton Duel” Dr. Freeman will weave a narrative of the role of honor in 18th century America, the importance that Alexander Hamilton placed on honor throughout his life, and how that led him to participate in the "affair of honor," or duel, that ended his life. This event is co-sponsored by the Weehawken Historical Commission and the Alexander Hamilton Awareness Society in order to make this event free to the public. 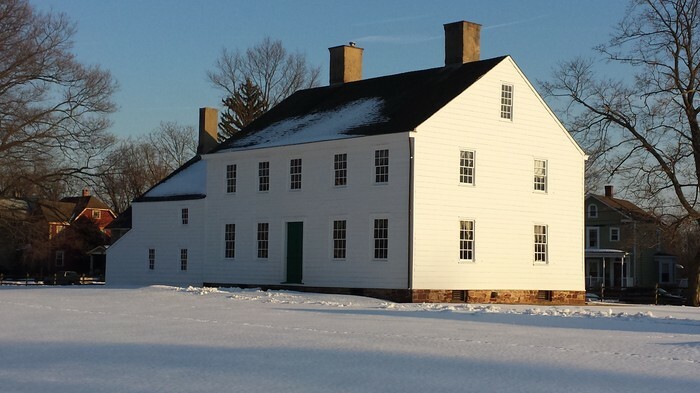 "Washington's New Jersey Winter Encampments Tour"
Did you know that George Washington and the Continental Army spent three of the seven winters of the Revolutionary War in New Jersey? Alexander Hamilton was with Washington at the official headquarters at all three encampments - two in Morristown and one in Middlebrook. Learn more about these winter encampments during a special themed day. 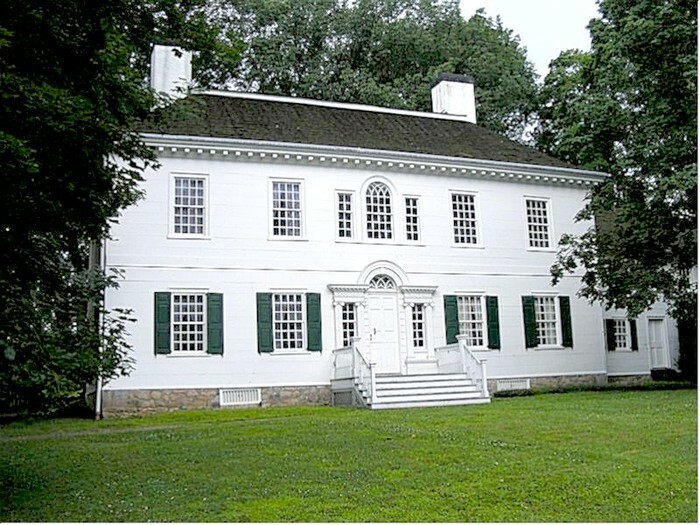 Take a guided tour of the house that Alexander Hamilton stayed in when George Washington held his 1778-79 Winter Encampment headquarters in Middlebrook, New Jersey. Morristown National Historic Park hosts author Michael E. Newton, an Alexander Hamilton scholar, to discuss Alexander Hamilton's indispensable services during the Revolutionary War and his key partnership with George Washington. The talk will be help in the Washington Headquarters Museum auditorium. This program is co-sponsored with the North Jersey American Revolution Round Table. 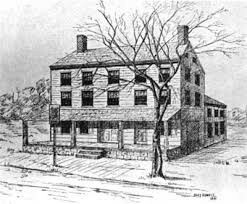 Join the AHA Society on the Morristown Green for an informal visit to see the original location of Washington's 1777 Winter Headquarters, today marked by a plaque. We'll also be making a stop on the Green to see the statues of Hamilton, Washington, and Lafayette that commemorate the official alliance with the French in 1780. Here Tomas J. Ellis, President, Sons of Washington, will speak about his organization and about the connection between Lafayette and Alexander Hamilton. The Lower Manhattan Historical Society hosts a flag raising ceremony at the historic Bowling Green in honor of Alexander Hamilton. This will be followed by a brief talk by author Michael E. Newton on "Alexander Hamilton at Bowling Green." Talk: "The Manhattan Well Murder"
Pooja Nair will speak about the Manhattan Well murder trial, the first fully recorded murder trial in the United States. Aaron Burr and Alexander Hamilton teamed up for this dramatic case in 1800 for the defense of Levi Weeks. Weeks was accused of the murder of a young woman whose body was found in the bottom of a well built by Aaron Burr's Manhattan Company. Come learn about this mysterious murder and the intense trial held at Federal Hall, where Burr and Hamilton worked together four years before they met on the dueling grounds. The talk is one hour, followed by a Q&A session. Pooja Nair, a lawyer at the firm of Foley and Lardner, is also the California Chapter President of the AHA Society and the founder of www.itshamiltime.com. She has previously presented on cases from Hamilton's law career at Federal Hall National Memorial, Hamilton Grange National Memorial, Museum of American Finance, and the Morris-Jumel Mansion. Members and invited guests of the AHA Society will attend the inaugural show of the Hamilton musical on Broadway at the Richard Rogers Theatre. 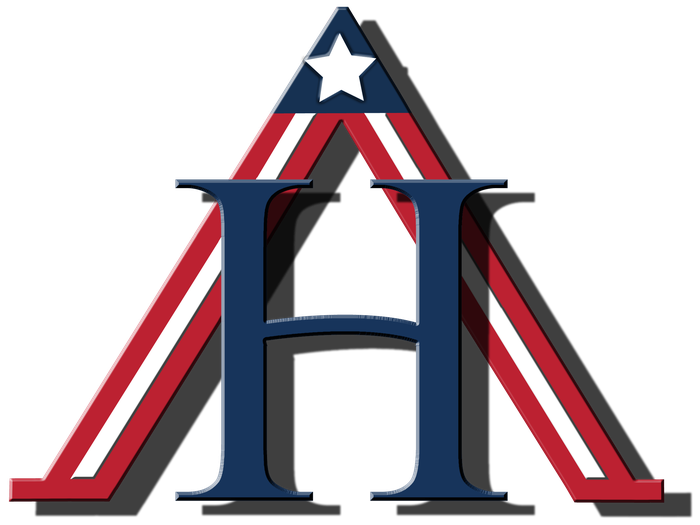 The Alexander Hamilton Awareness Society, also known as The AHA Society, strives to enrich the public's knowledge and understanding of Alexander Hamilton and the Founding period of the United States. Visit our official website at The-AHA-Society.com to learn more about events, presentations, and other initiatives. The forerunner to the Coast Guard was officially signed into law on August 4, 1790 at Federal Hall in New York City. Join the AHA Society, the US Coast Guard, Coast Guard Auxiliary, and the National Park Service at Federal Hall for a special event honoring this special anniversary. Get future updates from our official events page. The Center for the Treaty of Paris Period in Annapolis, Maryland is hosting its annual Treaty of Paris Festival this year with a special theme on Alexander Hamilton. Come attend the day-long festival to learn more about Alexander Hamilton's connections to Annapolis, particularly his role at the Annapolis Convention that was the forerunner to the Constitutional Convention. Get future updates from our official events page.